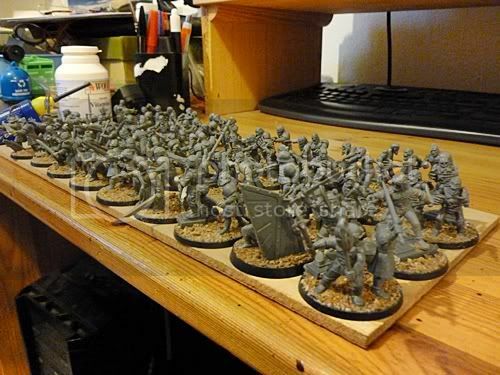 Here are 35 bases of assorted human militia and zombies to represent the desperate defenders and the vengeful dead possessed by the unquenchable wrath of the Adeptus Iratus. It is their psychic cry of fear, desperation and loyalty that summon the Adeptus Iratus from their eternal battle in the Warp. 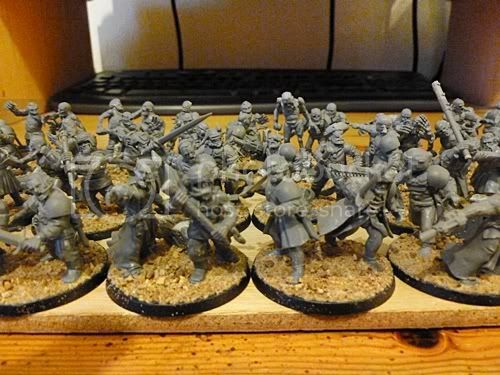 The figures are a mash up of bits from the Cadian Shocktroops, Vampire Kingdom's Zombie Regiment, Empire Great Swords, Space Marine Scouts, Empire Archers, Empire State Troops, Catachan Jungle Fighters, Empire Flagellants and Space Wolves' Pack. The bases are from Heresy Miniatures with clipped up chunks of City of Death Walkways and my usual mix of grit and sand applied over a textured layer of 10 Second No More Nails. 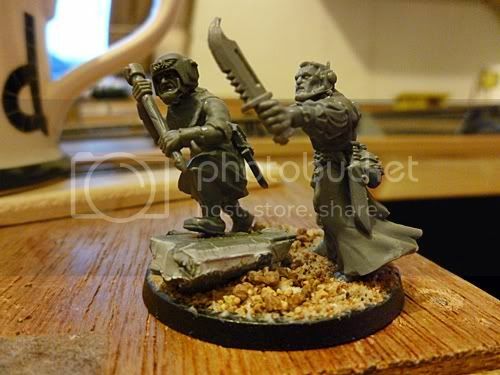 wow, these dudes put my horde'o'scarabs to shame, looking forward to seeing these on the table.